One strength of the 2030 Agenda for Sustainable Development is that it comes with a tight deadline. We are used to talking about climate change over long timescales, speaking of impacts expected and actions needed by 2050 or beyond, which reduces the impetus for immediate action. The Sustainable Development Goals (SDGs) force us to focus on what can and needs to be done now, leaving us just 13 years to increase human wellbeing across the planet while at the same time safeguarding the environment and combatting climate change. The latest SDG progress report, published by the UN in July last year, states that unless the pace of progress accelerates, the goals will not be achieved by 2030. In short, we need to be highly efficient. In our work in support of SDGs 7 and 13 (energy and climate), the Renewable Energy and Energy Efficiency Partnership (REEEP) fosters innovations to increase the efficiency not just of technologies but of financing and market development. We need three types of innovation: in technology, finance, and market development. We call this the Triple Efficiency Imperative. Innovation in energy efficient technology needs to happen on both the supply and demand sides. LED light technology revolutionised the solar lighting sector by drastically reducing the generation and battery storage capacity required to power lamps, and made solar lighting systems affordable to many more people. Focused as organisations tend to be on increasing installed generation capacity, they sometimes forget that often, the most affordable way to increase available capacity is to improve energy efficiency. Secondly, we need innovation in financing. It is generally accepted that public financing alone will not suffice to mitigate climate change and achieve universal energy access. So how can small amounts of public financing be employed to unlock larger amounts of private finance? 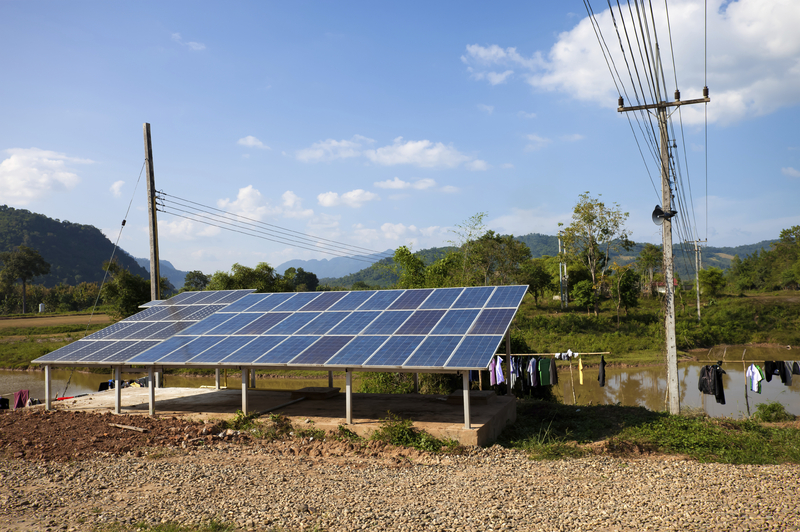 REEEP works with clean energy entrepreneurs in frontier markets: markets which are not (yet) attractive to commercial investors because the perceived risks are too high – there may be too little information on market conditions, a lack of an enabling policy environment, or insufficient infrastructure. To break these markets open, public finance needs to be applied in an efficient and focused way, to enable the right companies to establish themselves, offer affordable services to customers and pave the way for more private engagement and investment. The Power Africa: Beyond the Grid Fund for Zambia (BGFZ), generously funded by Sweden, does just this: it enables local and foreign clean energy businesses to set up operations and grow in Zambia, with the ultimate goal of providing access to clean energy to one million people and putting in place the conditions for self-sustaining market growth for clean energy solutions. Thirdly, market development. True, sustainable, efficient market development requires not just money, but also a deep understanding of the market conditions. What can customers really afford? Do they have access to credit for upfront investments? Where in the market lies the real growth potential? In mature commercial markets, this information is gathered by private companies who sell it for profit. In frontier markets, such as market for the poor, little profit is to be made and so intelligence is not generated. Here, again, a focused injection of public finance is required to get the ball rolling. REEEP does exactly that: our interventions are designed to blaze a trail, and for others to be able to follow, we monitor our projects closely to understand the ecosystems they operate in, and share our experiences and lessons learned. If we pay attention to this Triple Efficiency Imperative and foster innovations in efficient technology, efficient financing mechanisms and efficient market development, a small amount of public funding can effectively break open frontier markets and give that initial push to set new market growth in motion. This way we can, in the next 13 years, expand access to reliable, affordable and climate-friendly energy to all. REEEP endorses the Energy Efficiency Global Forum (EE Global) 2018, the preeminent high-level energy efficiency event that draws together business executives, government leaders and advocates from across sectors and continents for actionable dialogues on advancing energy efficiency. Join us for two days of key partnership-building and unparalleled content focused on the theme Energy efficiency: Innovation, Investment, Impact. EE Global 2018 will be held in Copenhagen, Denmark, on 21 and 22 May. To apply for an invitation, visit the website.